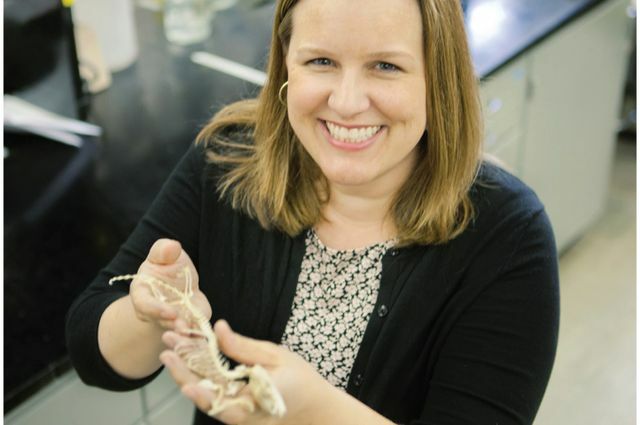 Karen Sears studies how mammals adapt to changing environments. The research of Karen Sears, professor and chair of ecology and evolutionary biology at UCLA, is featured in the exhibit “Extreme Mammals” at the Natural History Museum in Exposition Park. The exhibit, which runs through Sept. 10, highlights two areas of her laboratory’s ongoing research. One addresses the changes in development that have enabled bats to grow wings. 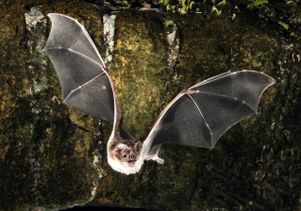 The long-fingered wings that bats use for flight evolved from flightless ancestors with short fingers. 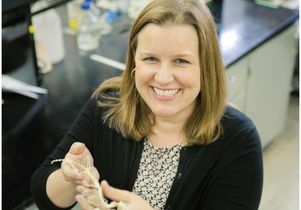 Sears and her colleagues recently discovered that during early development, bat and mice fingers grow at the same rate. However, about halfway through gestation, the bat’s fingers start growing much faster. She and her colleagues believe a single gene may be responsible for this shift. The second area explores how processes occurring during development — specifically the need for newborns to crawl from the birth canal to the pouch — has limited the evolution of the arms of marsupial mammals (“pouched-mammals”) relative to placental mammals (mammals such as humans, dogs and horses). The kangaroo pouch is needed to provide shelter for their tiny young, which are born blind, without hair and at a stage at which placental mammals would still be fetuses growing safely inside their mother’s womb. Even though marsupials are tiny and immature at birth, their front arms must already be developed enough to pull them from the birth canal to the pouch. At that point, their choices are to either “eat or die.” The need for strong front arms at this stage of development is thought to have prevented the evolution of flippers and wings — which explains, Sears noted, why there are no flying or ocean-dwelling marsupials. Her laboratory studies how mammals adapt to changing environments. Karen Sears, professor of ecology and evolutionary biology at UCLA.